EXCLUSIVE Mint Arrow x PMD launch and half off code!!! *UPDATE: we completely sold out of the exclusive PMD (even the bundle!) but the 50% off code still works through Monday April 30! Scroll to the bottom of the post for the half off code. I am SO BEYOND EXCITED to finally launch my second EXCLUSIVE Mint Arrow PMD!!! This one is my favorite EVER because it's baby pink – a color they've NEVER done before – and it has the prettiest gold lettering with the Mint Arrow logo and the cutest saying on the flip side: “if you can be anything, be kind.” I can't wait for so many of you to get this for yourselves OR your moms, and to offer again an EXCLUSIVE half off code just for my readers! 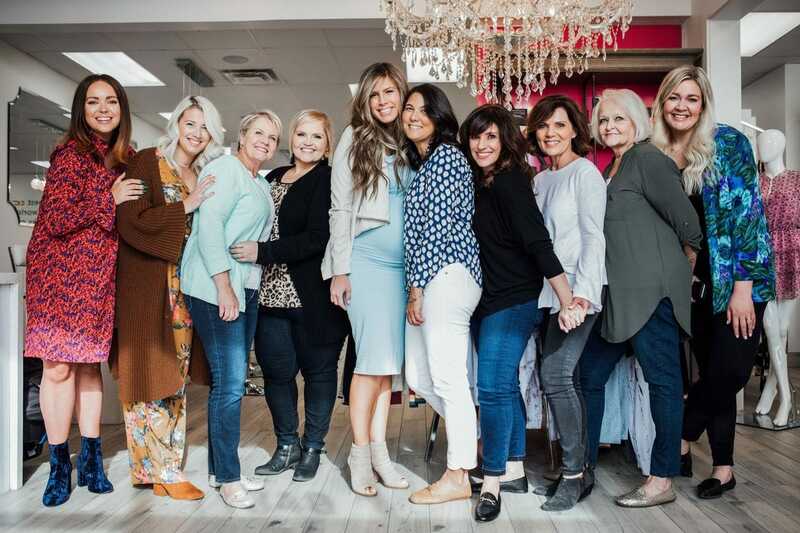 We had a little launch party with some of my blogger friends and their moms in Utah last week! 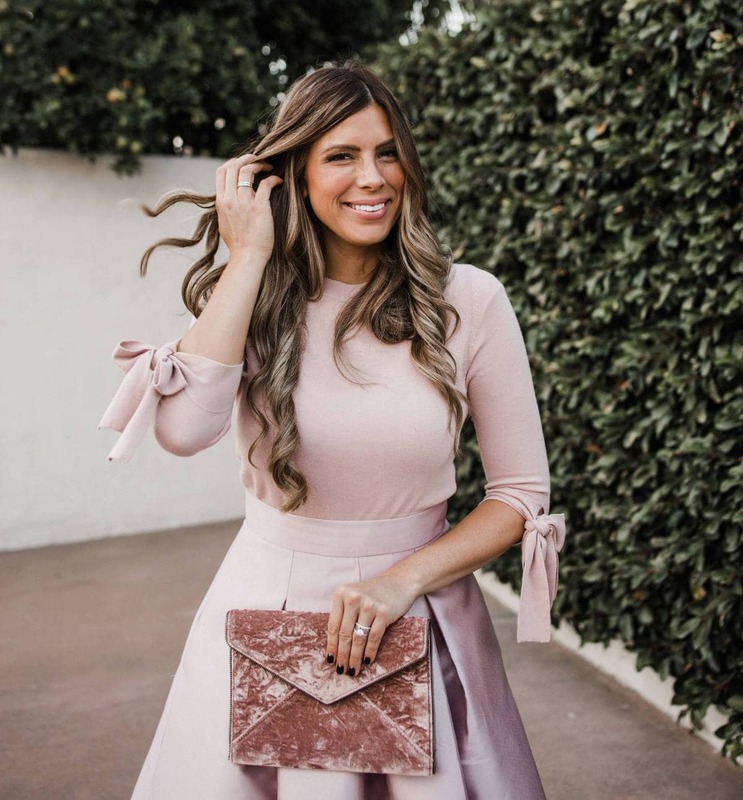 We treated everyone to a manicure and blowout, dinner, and gave everyone the brand new pink Mint Arrow PMD pro with a couple other PMD goodies. It was so fun to see some of my blogger friends with their moms for the afternoon and of course, hang out with MY mom who I'll take any excuse to hang out with! For the 4th year in a row, we’ve got the very BEST deal on the internet for the PMD right here!!!! This award-winning at-home microdermabrasion tool, sold in all major high-end beauty retailers like Nordstorm, Neimans and Sephora, is my secret weapon for amazing skin. You literally will NOT find the PMD at any other time or place for this amazing of a deal. And this year we’re doing something even MORE exciting by releasing my custom collaboration with PMD: pink Mint Arrow PMD!!! 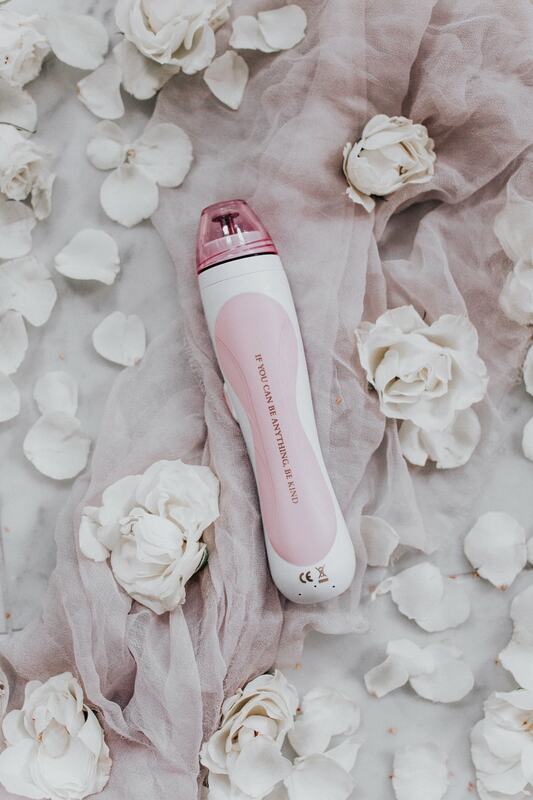 My very favorite PMD Personal Microderm, the at home microdermabrasion device that allows you to get spa-quality skin treatments at home for a fraction of the price and perfect your skin, is at the lowest price you’ll see ALL YEAR LONG. Right here, exclusively, just for you! Seriously, you won’t find it cheaper anywhere else. Guaranteed. Let me tell you WHY I love this little thing so much and why I’m offering you guys this exclusive deal for the FOURTH year in a row! 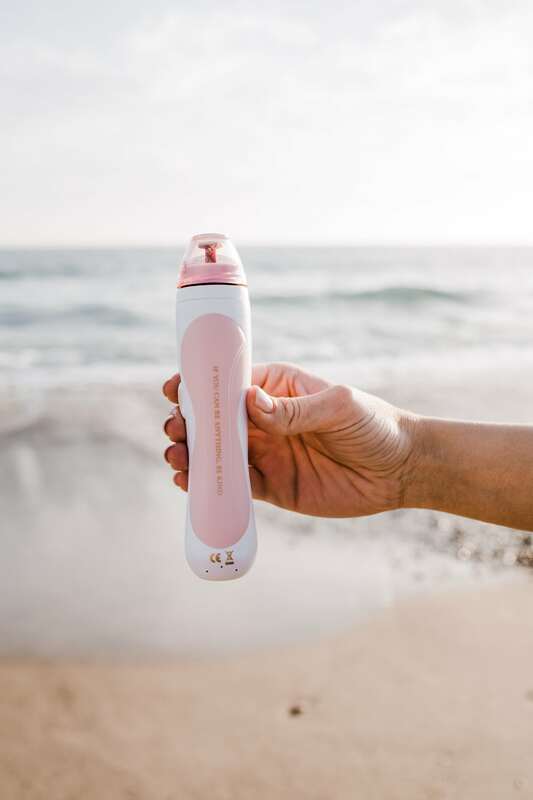 PMD Personal Microderm allows you to do at-home microdermabrasion treatments that take off a layer of dead skin and help reduce fine lines, wrinkles, redness, fades sun spots and acne scarring, makes your skin NOTICEABLY clearer, smoother and more beautiful with each use! It’s honestly a secret weapon tool for anti-aging and making your skin look 10x better than it did before you knew it existed. I also swear by this as the ONLY thing that’s cured the keratosis pilaris (KP) on my arms – the tiny red bumps so many other people suffer from on the back of their arms. We specifically did this launch for Mother's Day because I really do believe it's an AWESOME gift for a mom of any age. If your mom could use help with reducing fine lines, wrinkles, age spots, scars, or anything that comes with the beauty of getting a bit more seasoned, this tool will help her so much! My mom loves hers and I've met so many other moms of my friends who are in their grandmothering years who love the PMD!! PMD was chosen in the 2014 instyle magazine best buys, and again in the 2015 instyle magazine as one of their best beauty buys and I SO agree. Seriously, it’s the best skincare tool I own. I’m so excited about this collaboration with PMD on our custom light pink Mint Arrow PMD!!! As I mentioned above, they've never EVER done a light pink and since my last custom PMD with them sold out in 2 business days, I'm expecting this one will sell out as fast and maybe even faster since they've NEVER made the PMD in a light pink! We went with the PMD pro because it gives you guys the MOST options for taking care of your skin, with the low speed or normal speed settings. If you have sensitive skin you will really appreciate this feature! As if these reasons aren’t enough, you’ll notice that your makeup goes on SO much better once you start using this weekly! The dead layer of skin that your makeup was clinging to is gone, so it can actually glide onto your skin and help it look SO much better than it was before you were doing PMD microdermabrasion. I also swear by using this before a spray tan, so that the spray tan actually seeps into and stays on my skin, instead of sitting on top of a layer of dead skin. What’s the difference between the PMD Classic and the PMD Pro? 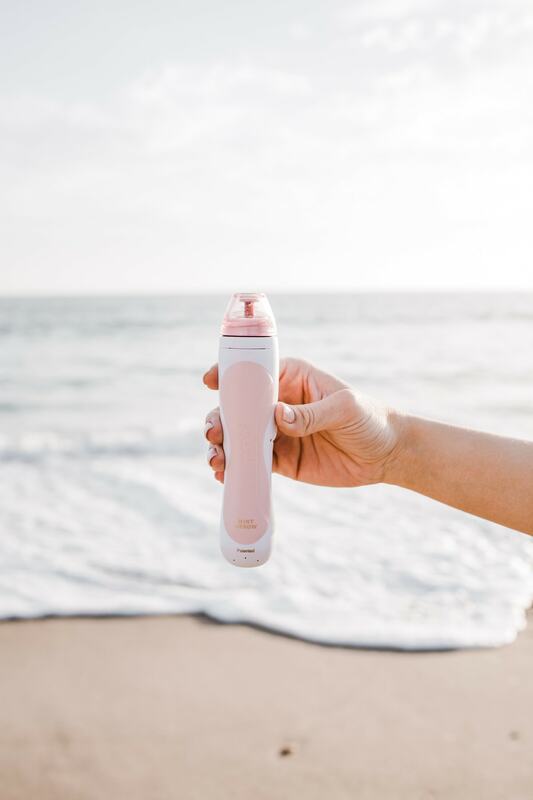 The big difference is that the PMD Pro has two speeds so you can set it on a low speed if you have extra sensitive skin! I honestly love them both and have seen amazing results using either one, but if you have sensitive skin, the pro is definitely a worthwhile investment for you! Is the PMD the same thing as a Clarisonic? Nope! The Clarisonic cleanses your face but doesn’t perform microdermabrasion. 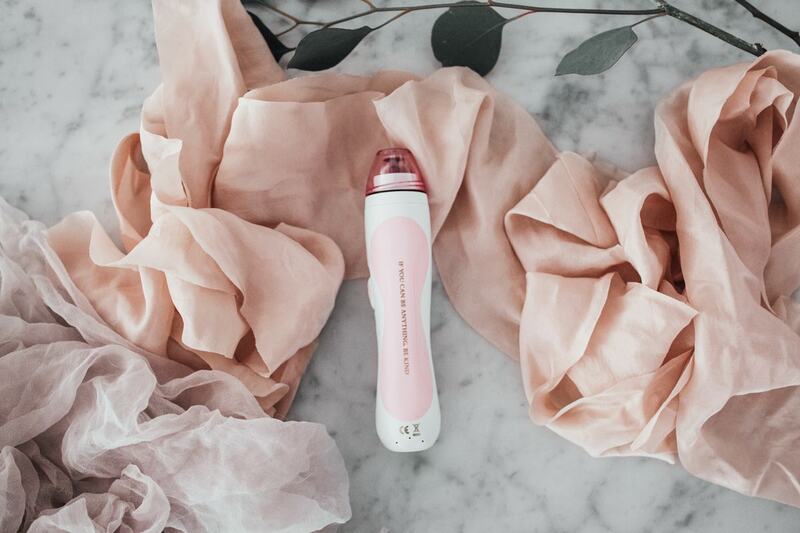 I honestly love both my Clarisonic and PMD but they perform such completely different tasks, one is for cleansing the skin (clarisonic) and one is for perfecting the skin (PMD) with medical-grade microdermabrasion treatments. It’s kind of like asking if you need a clothing washer or dishwasher more or if they can do the same thing. Two totally different things, both amazing, just super different! How do you use it and is it hard to figure out? Follow the directions on this page and you can’t go wrong! It’s so super easy to use, I promise. It’s SUPER easy to figure out even from the first time. They even include a little dummy disc for you to give it a test run before your first real treatment. Not ONE bit. Not even a little. Promise!! 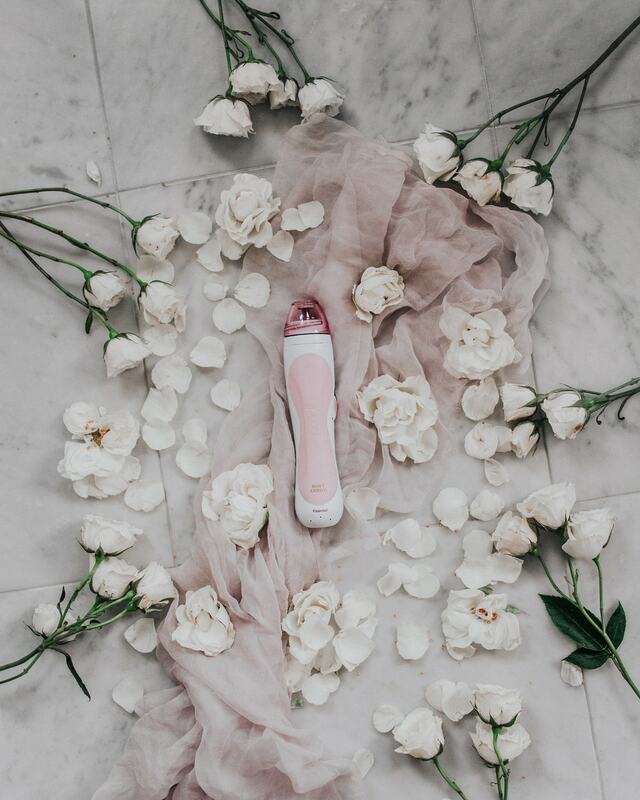 Normally the PMD pro retails for $199 at places like Nordstrom, Saks, Sephora etc. and the PMD classic retails for $159. but with our exclusive mother's day discount, you can get these at HALF OFF – so the PMD pro is $99.50 and the classic is $79.50 with the code MINTMOM50 at checkout. Is this still expensive? Yes, but one single microdermabrasion treatment in a spa usually costs $100-200, so you’ll be able to do the same type of treatments at home over and over again for less than the cost of ONE professional treatment! Also, if you’re spending even a little bit on nice skin care, when you use the PMD you’re allowing that skincare to really do its job and penetrate into your skin instead of sitting on top of a dead layer of skin. HUGE benefit that will make all the nice skincare you’re spending money on actually work the way you want it to. Can I use it on other parts of my body other than just my face? YES! One of the reasons I love the PMD so much is because like I said, it literally was the only thing that finally got rid of my keratosis pilaris. I moisturize on my arms daily with trader joe’s coconut oil and then once a week, again with clean dry skin, I use the larger attachment and do a PMD treatment on my arms. I saw DRAMATIC improvements in just a couple weeks! I also love using the body attachment to exfoliate before a spray tan or self tanner. Trust me, your tan really will last SO MUCH LONGER. How often should you change your discs? They suggest after every 3-4 uses, but I probably stretch mine out to every 5-6. That said, the PMD definitely works best when the discs are fresh! Which discs do you use? I started out using the dummy disc as instructed, then each week moved my way up until I felt comfortable using the green disc. After a couple of years, I finally felt safe trying the red disc and I LOVE the results I get from that, but please proceed with caution! If you follow the instructions from PMD you’ll get optimal results without damaging your skin. My mom has very sensitive skin and uses the sensitive disc (blue) and gets amazing results, while not irritating her skin by using a disc that doesn’t work for her. The custom Mint Arrow PMD Pro is priced at $199 but you can get it for $99.50 with our exclusive 50% off code MINTMOM50 at checkout! In addition to our custom Mint Arrow PMD, we created a little kit of all my favorite things too, so you guys can save even a little MORE money if you bundle some of my favorite products together. The bundle is a kit of all my favorite things for a total skin makeover, including the custom mint arrow PMD pro (with the normal set of discs and face/body caps), the Kennedy bag, the Brilliant Confidence bracelet, an extra set of green discs, an extra set of red discs, and a 5-pack of the recovery sheet masks! The retail value is $322 but the special bundle price $289. PLUS you’ll get 50% off with code MINTMOM50 at checkout, making it $144.50!!! 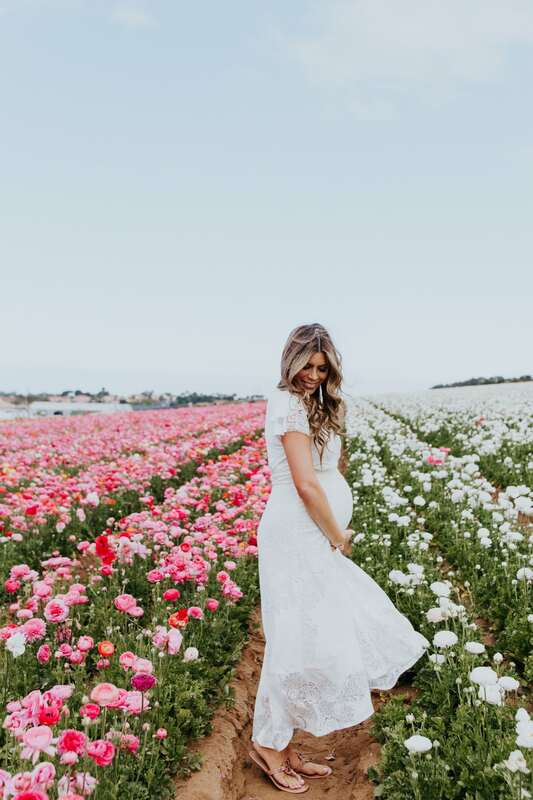 Everything will be on sale with the code, with the exception of the The Clean – as it will already be discounted 30% for Mother's Day. Our exclusive PMD site-wide 50% off discount with code MINTMOM50 at checkout is good through this coming Monday, April 30th! Make sure you tell all your friends because this deal won’t come around again for a LONG time and you can only get it here!!! Dumb question headed your way, but… when you say you moisturize with Trader Joe’s coconut oil, do you mean their actual coconut oil (like the one for cooking) or the coconut body butter made with coconut oil? Thanks! So bummed it’s sold out! Do you know if they’ll be restocking? They’re not doing a restock of the mint arrow PMD collab but you can still use the half off code through Monday on any of the PMDs or replacement discs on their site! I am so excited that I got one of the special edition PMD’s yesterday! I had been wanting one but couldn’t bring myself to order until this AMAZING deal. So THANK YOU!! I was just wondering which discs you use to treat your KP. I have had it my whole life and nothing has helped so I am excited to try the PMD for it! This is so great and I would love to purchase, but it looks like it’s out of stock. Do you know if it will be re-stocked? The custom PMD was limited edition so it won’t be restocked right now, but the 50% off code works still on all PMDs and replacement discs through Monday! You can still get the mint arrow pmd deal but only in the hot pink! It’s the same pric and comes with the same bundle as the light pink! I just bought it! I missed the deal! Any chance a 50% promo will be coming again soon? The PMD deal is totally over for now, but there’s a good chance it’s coming back around Black Friday! Is it only for the microderm or will the 50% off work for the kiss, too?